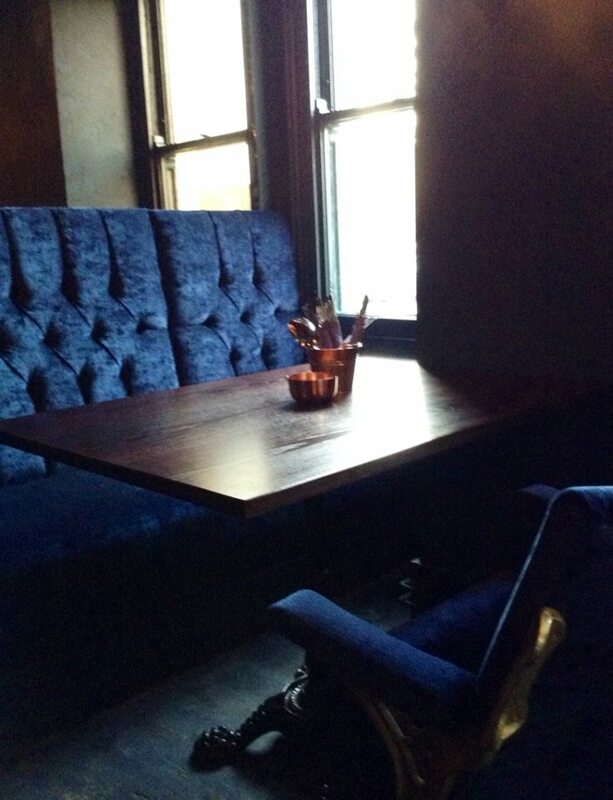 Our servers were cheerful and friendly, which made the whole experience that much better. 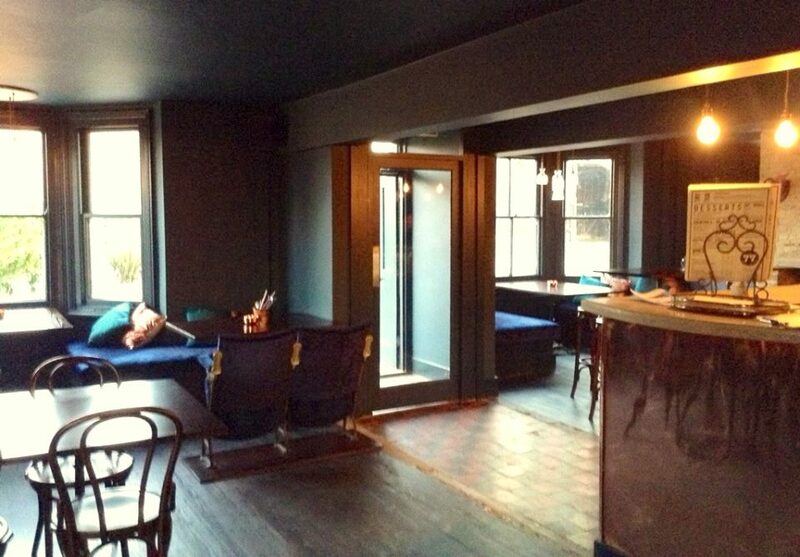 The menu includes all of the Thai classics, such as pad thai, curry, stir fries and tantalising cocktails. The food is authentic. In fact, there is a Thai mother-daughter cooking team at the helm. I decided to start the evening off with one of their signature cocktails, the Thai Fizz. This wonderful concoction of Prosecco, lemongrass, sake and lychee was so good, I ordered another! Paulo was pleased to see Chang beer on the menu and that’s what he ordered. After all, what’s a Thai restaurant without Chang? 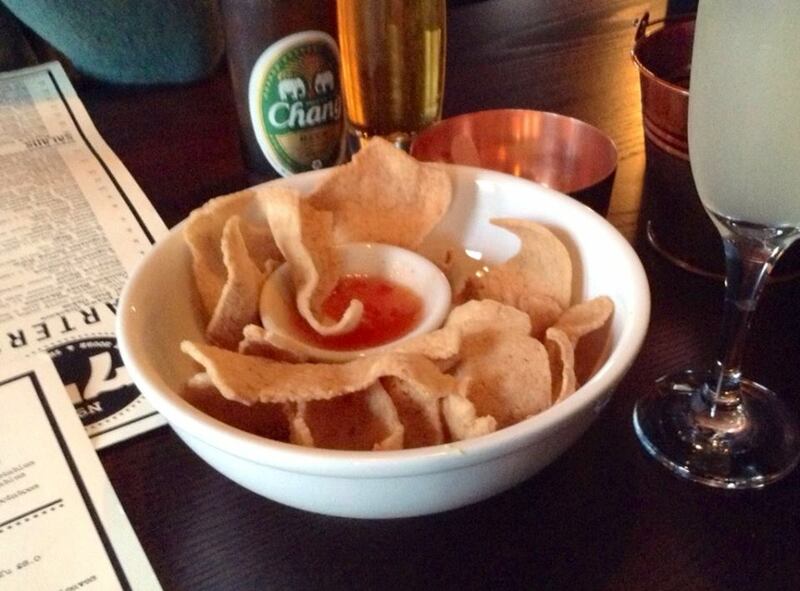 We nibbled on some light and crispy prawn crackers with sweet chilli dip whilst we enjoyed our drinks. 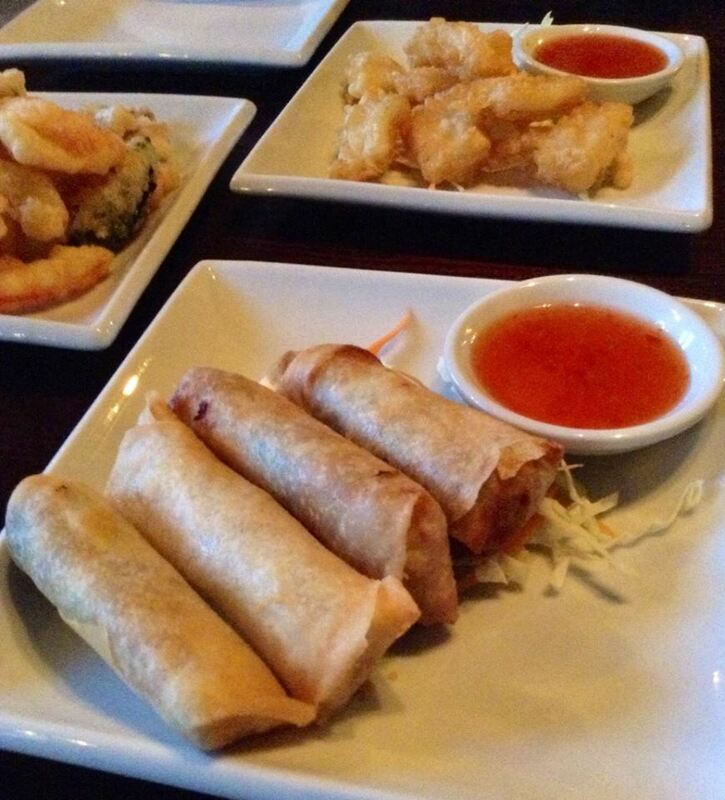 We decided to share three starters: tempura squid, vegetable tempura and vegetable spring rolls, all of which were served with the same delicious sweet chilli dip. The spring rolls were crispy and the vegetables were bursting with freshness. They were not the least bit oily or greasy. I wasn’t too keen on ordering the tempura squid but I’m glad Paulo convinced me. I was expecting the same ho-hum starter of fried calamari served at so many establishments. I was wrong. 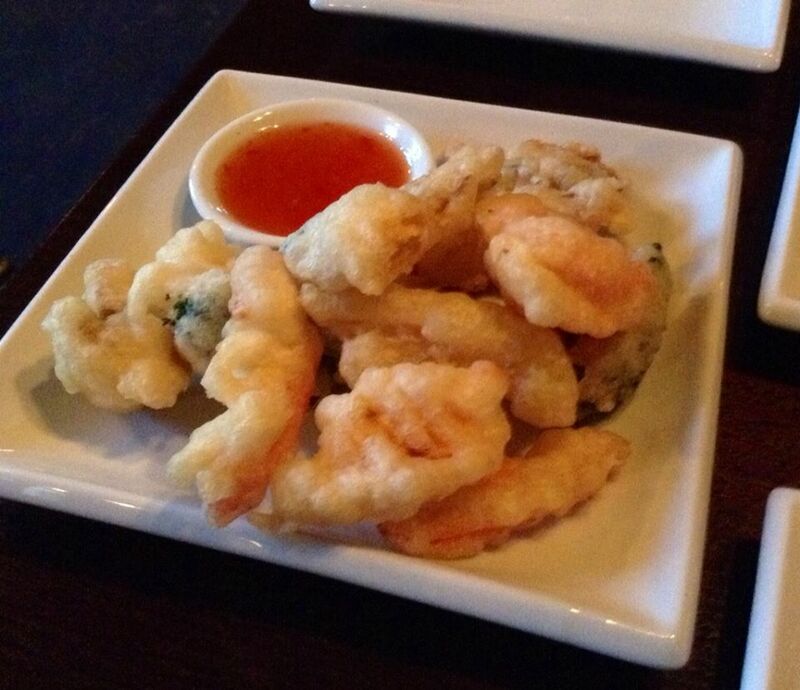 The squid was cut into square chunks and coated evenly in the tempura batter. The whole dish was light and tasty, not at all rubbery or heavy. There was a variety of seasonal veggies in the vegetable tempura, such as broccoli, red peppers and mushrooms, which were all very fresh. 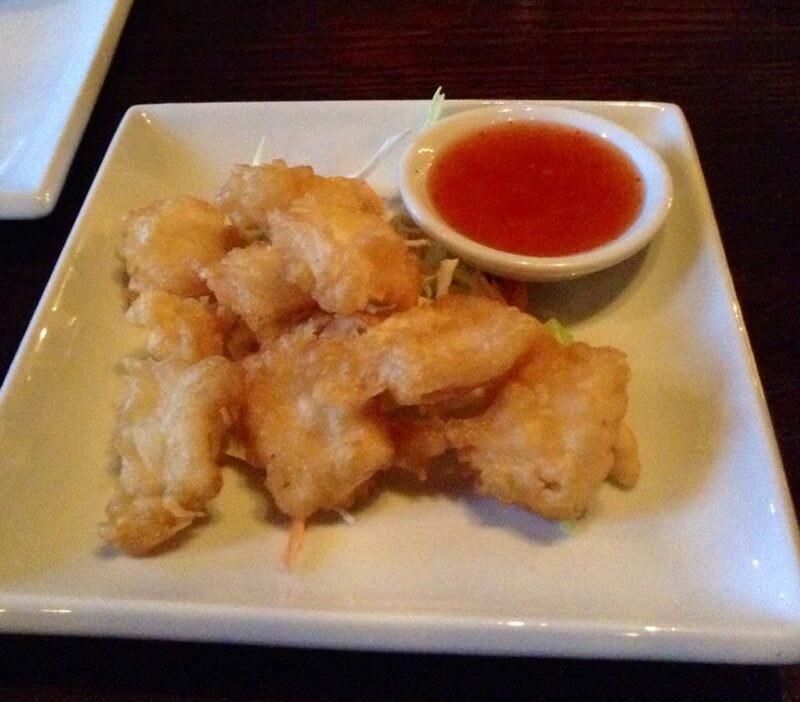 The tempura batter was light and airy, one of the best we’ve tasted. My chicken pad thai was absolutely delicious. I could tell that all the ingredients were fresh, including the vegetables, which were not over-cooked and retained their crispiness. The spring onions added just the right amount of sharpness to the dish. 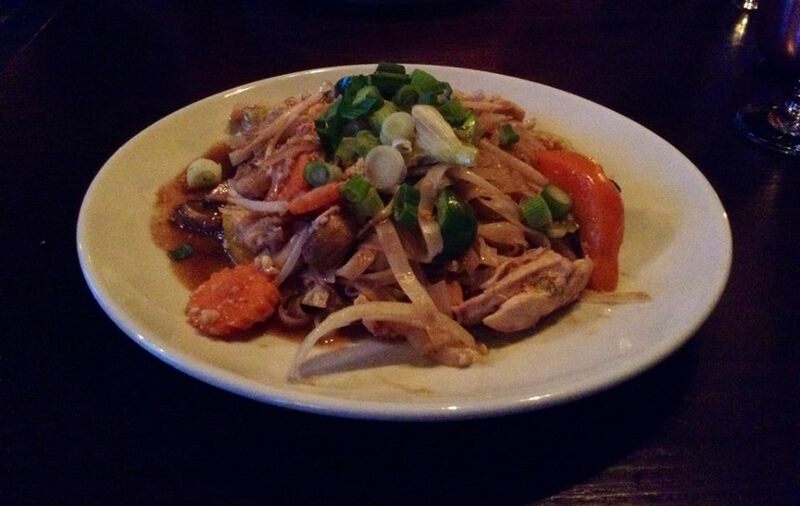 There was a good amount of chicken and the rice noodles were perfectly cooked. The flavours and textures were very pleasing to the palate but I would have liked to have a stronger taste of peanut. Leave it to my spice-loving husband to order one of the hottest dishes on the menu, the jungle curry. Paulo knew what he was getting into though. It was amusing when our server brought the curry to the table and asked who the brave soul was. 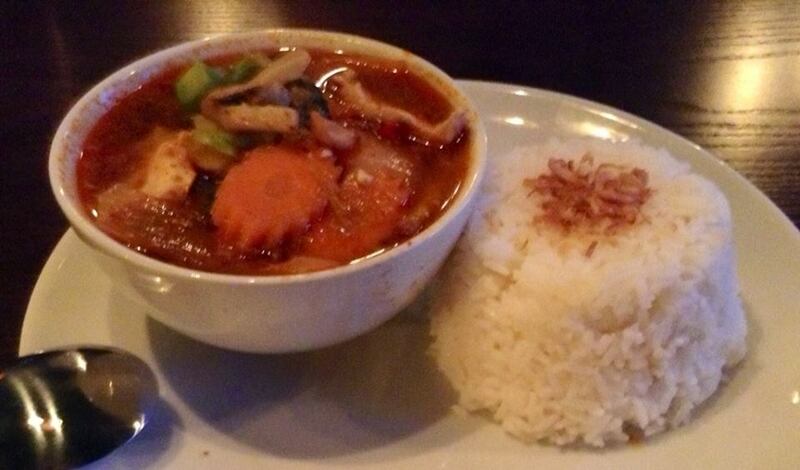 The jungle curry, served with a mountain of rice, consisted of chicken, chilli, basil and a variety of fresh vegetables. I didn’t dare try any but I could smell the spiciness! Paulo thoroughly enjoyed the dish, even if he was sweating! We were told that the desserts had not come in from their supplier but that was fine with us. 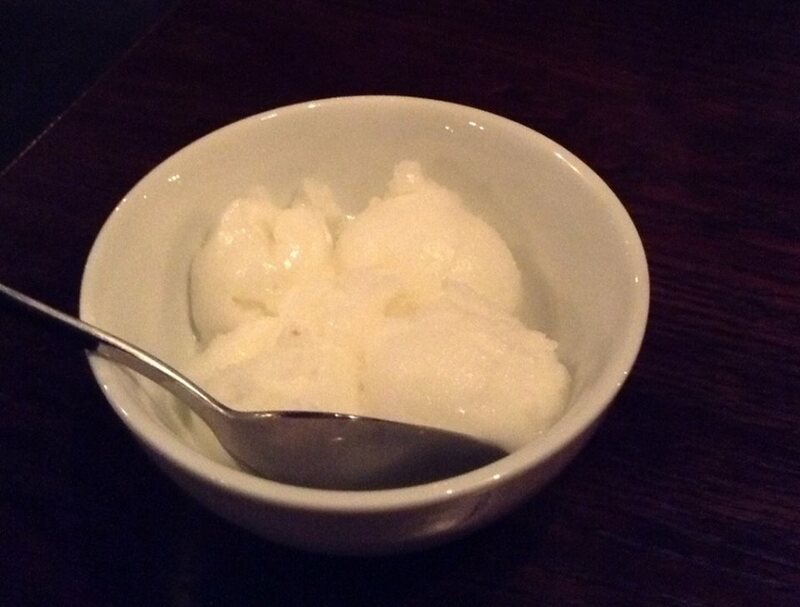 I was too full for dessert anyway, but Paulo was able to have a refreshing lemon sorbet, which helped cool down the spicy jungle in his mouth! 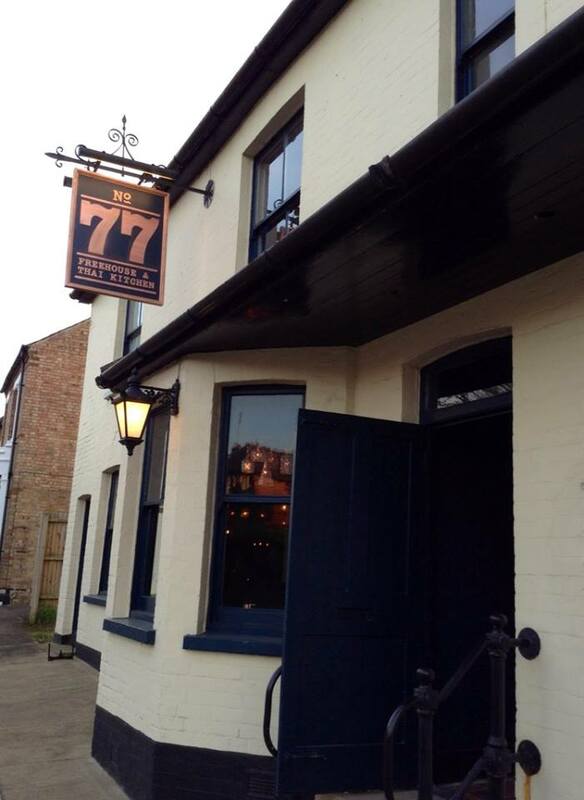 We are looking forward to many return visits to No.77, as there are other tempting dishes and drinks to explore. 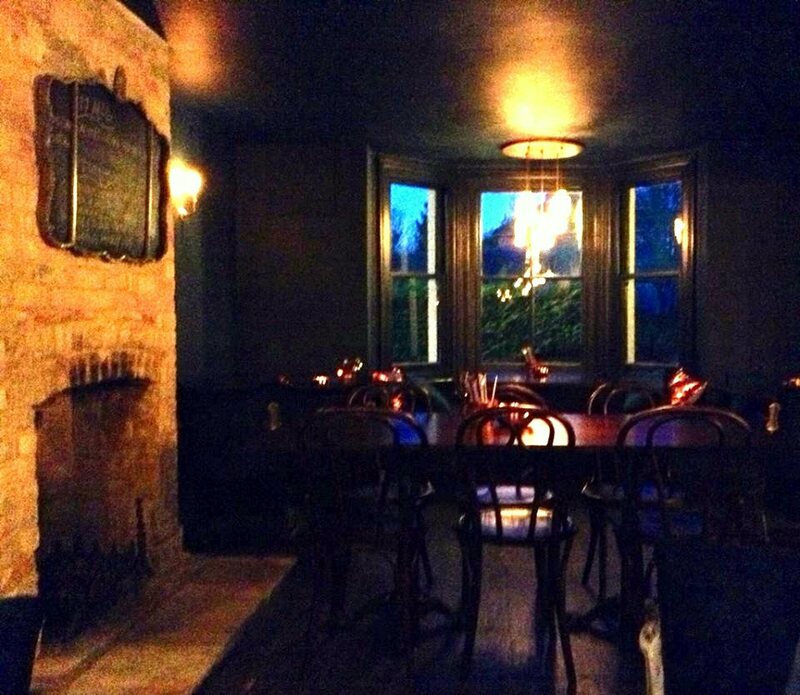 We really enjoyed the ambience and there was a good mix of people, including families with children. They’ll even leave a bowl of water outside for your pooch! 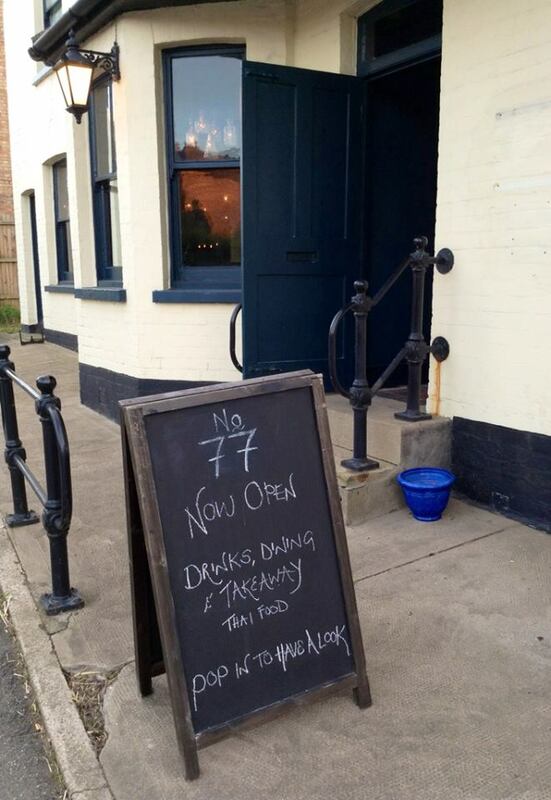 This entry was posted in Restaurants and tagged Cambridgeshire, Caxton, cocktails, curry, freehouse, No. 77, pad thai, pub, tempura, Thai, Thailand by One Two Culinary Stew. Bookmark the permalink. £23 for a bottle of wine.Complete rip off.How can this be justified?Wont be back and suggest to friends not to visit.